If you’re looking to shop for some Japanese / Anime goods, you should seriously consider Tokyo Otaku Mode. 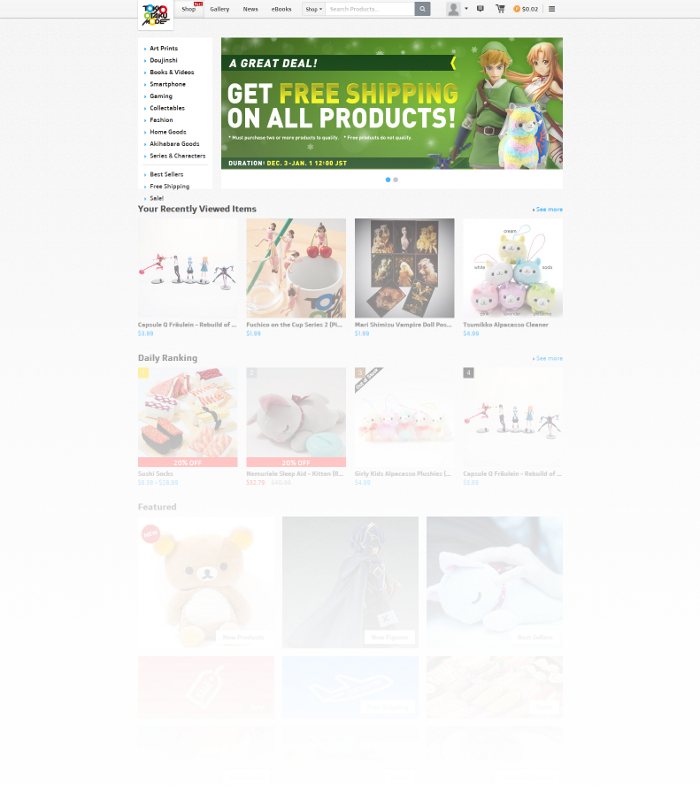 They’re selling everything related to Japanese anime, manga, games, music and fashion and their prices cater to any budget, ranging from just $0.99 to over a hundred dollar. Now, as for that $10 discount you can get. It’s pretty simple. You sign-up through an invite link (preferably mine ^_^) and you will receive $5 in TOM Points (TOM stands for Tokyo Otaku Mode). But that’s not all! After you confirmed your email address, you should receive a $5 Welcome Coupon. So that’s a total of 10 dollar discount you can use on your first purchase! Now that you are signed up, you can invite people with YOUR code and those people will $5 in TOM Points and SO WILL YOU (after they placed an order)! A coupon expires 3 days after activating it, so use it when you get the chance!